Three cows (OK, I admit there is a fourth one hiding in the background, but you probably only notice because I’m telling you) in a barn at Laggan farm looking out of the barn door. Taken during an Islay walking week walk to Laggan Point in April 2016. 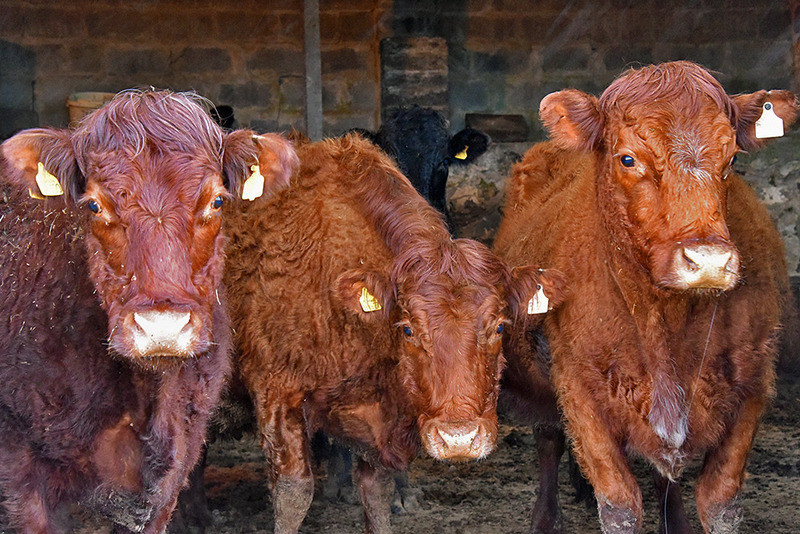 This entry was posted in Cloudy Weather, New Post and tagged cattle, Islay, Laggan Farm by Armin Grewe. Bookmark the permalink. Rab McMillan a wee appreciation society from Islay saying hello !!! !